In order to let Keyword Hero reveal the Google search keywords again and to remove the (not provided) in Google Analytics organic traffic report, you should set up an “HTTPS” property for your page in Google’s Search Console (GSC), if your website uses an SSL certificate and is accessible as “HTTPS”. If you moved your website from HTTP to HTTPS, but do not have an HTTPS GSC property, please create one by going here and clicking on “Add Property” and follow the steps. Click on the gear icon next to your domain. Click on “Select” next to the new HTTPS or HTTP property. Good Job! Now wait a couple of days! Keyword Hero won’t match without having access to GSC as data becomes too inaccurate. As the GSC takes three days to gather the first data, please be patient and check back after five or more days. For Keyword Hero to work properly, he needs access to both Search Console properties (HTTP and HTTPS). You also have to make sure that both properties are accessible via the same Google account, to which you granted the Hero access. 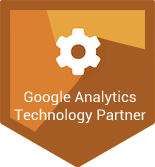 You can check this by logging into the Search Console account. In case you will see both versions in one account, then you’re all set. If the HTTP and HTTPS GSC properties for your website are in different Search Console accounts, you should give one of these accounts access to the other. Log into one of the Search Console accounts. Select ’Add or remove users’. You can now see a list of all Google Accounts that have access to this Search Console Property. Click on the top of the ‘Add a new user’-button and add the Google Account that has access to the other property. 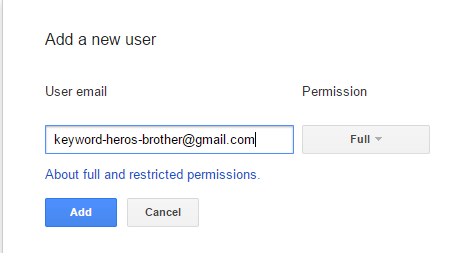 This account (in our example keyword-heros-brother@gmail.com) is shared with the Keyword Hero.